Size: 8.5" x 7.1" x 1.8"
Nothing else than the German edition of the Math Star. 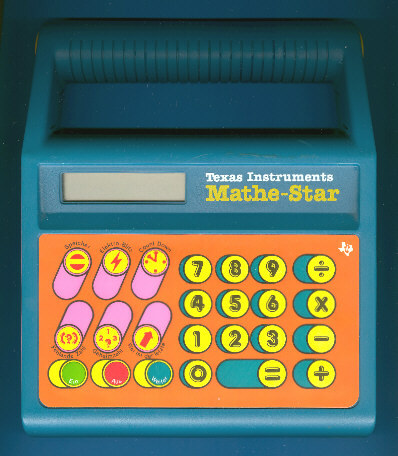 The Mathe-Star is featured in the Texas Instruments Deutschland GmbH leaflet Spielen macht schlau dated 1991. © Joerg Woerner, February 4, 2006. No reprints without written permission.